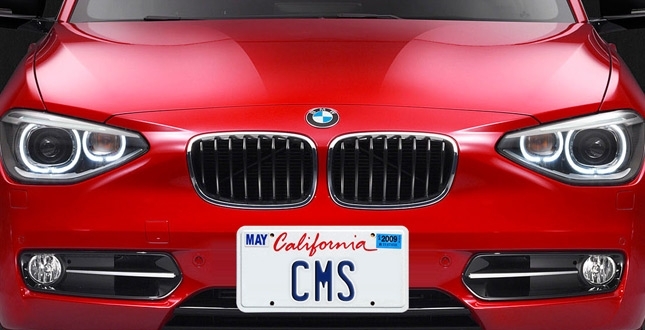 “CMS is destiny,” declared a Chief Marketing Officer (CMO) over drinks one evening. “A bad website backend system is like a ball and chain. It slows you down…and sometimes it completely stops you from doing what you want to do.” He added, “I wish I knew this before I agreed to work with [insert web development company name here]." In my 15 years of consulting on and implementing content management systems (CMS), I can tell you that this kind of frustration is not uncommon. Every CMO wants a robust and easy-to-use CMS. They know that it can empower their team, save hundreds of work-hours over the course of its lifetime, and ultimately help the firm achieve its business goals. However, many firms don’t know what to look for when they evaluate a new CMS. As a result, they choose what they’ve heard is the best system – and are stuck with a nightmare for years. Don’t let your opinion of a development company be influenced by the platform they say they’ll build your website with. Why? Because platforms like Drupal, SiteCore and WordPress are just toolkits. If you hand the same chisel to an artisan and an amateur, you can expect profoundly different results. I know a firm that recently rebuilt their website using SiteCore, which has a reputation as being an expensive, “enterprise-level” solution. They thought this would translate into a versatile, powerful and professional system. The firm hates their CMS. It’s slow and buggy and takes lots of clicks to do some really basic things. Is this a problem with the platform? Not necessarily. From what I can tell, the firm just got a sloppy implementation. They’re working with the wrong web development company. A platform’s quality is dependent on the skill of its developer – and not the other way around. Some web design companies proudly declare that they can build your website with any CMS platform you'd like. I’d stay away from these guys. The results are often unwieldy systems that are hacked together with no foresight. Why? Because when a “technology agnostic” company builds a new site, they are always starting from square one. They have not invested any time into refining your technology or feature set. Their solutions will be limited to what you’ve specifically asked for. Their business model encourages the quickest solution – not the best one. Just because a company claims that their system has a particular feature doesn’t mean it works well. There is an incentive for technology companies to implement half-baked functionality as a means of puffing up their features list. Ask for a chance to use the system yourself, and plan to evaluate all key features – especially the ones on your RFP’s wishlist – and compare them to those of competing systems. Not all features are created equal. A little while ago, I attended a demo of a CMS product. One of the audience members asked if the system allowed you to add pages to the website – and the salesperson responded, “Of course,” and left it at that. Later we had an opportunity to put it to the test. Turns out that it was possible, but not easy in the least. We found that it took 12 clicks and 8 page loads to complete the task and that if you didn’t do things in a particular order, you could accidentally break the whole website. Ah-ha! features. A good industry-specific system should be full of features that you didn’t think to ask for, but immediately see the value of. Be greedy – expect to be dazzled. Attention to detail. A web development company that treats their CMS like a product built for a specific industry has an incentive to refine and perfect their offering – because they expect to implement their system many times for many clients. Improvements over time. Industry-specific solutions benefit over time from client feedback and constant usage. All the big bugs have already been fixed, and chances are that if a gap exists in the system, a solution will be available soon. More bang for your buck. When you purchase a CMS that is pre-tailored for your industry, all of the difficult work has already been done. You benefit from the thousands of hours that were previously spent on the system. The money for your project goes into adding value to an already robust system, instead of developing it from the ground up. If you’re evaluating various website development companies for your firm’s new website, I suggest that you request a “CMS test drive” from your two favorite agencies. It’s a request that they should be happy to accommodate (and alarms should sound if they don’t!). Ask them to configure a demo law firm website and provide you with the password to the backend. Then spend a few hours banging away at each CMS, comparing key features and simulating your day-to-day processes. Taking the time to do rigorous comparison testing will make clear which system is the best fit for your firm. I agree with the basis of your argument, but there is a fine line to walk here. Many firms spend a lot of time looking at the back end of their websites, trying to find one that makes their content management lives easier (e.g., can they — with a few strokes — print off a capabilities doc). As a result, many website development companies spend a lot of time selling their CMS and its “ease of maintenance.” What gets lost is the front end of the site — making it compelling, engaging, interesting — and making it tailored to the needs of its visitors. I’ve sat thru several presentations by web design companies where the majority of their presentation was spent on the CMS. My staff loved the functionality. But I wanted a total package. Matt, you’re right: the front end is extremely important and firms should spend more time evaluating what they’re going to get along those lines. Absolutely. In our experience, despite the focus firms place on evaluating the CMS, there seems to be a lot of misinformation about what makes a system good. Usability is important, yes. So are features. But what about the strategy that is applied to the entire project as well? The strategy, when carried about by professionals who are intimately familiar with your market, will build on both the front- and back-end in ways that any ol’ web development firm cannot offer. Don’t be held hostage – With limited exceptions, the biggest risk of a proprietary CMS is being held hostage. In the overwhelming majority of instances, it’s difficult to rule out WordPress. While WordPress isn’t perfect “out of the box,” with proper security hardening and SEO configuration, it solves most problems. The best part is that if you part ways with your developer, marketer, etc, you don’t have to worry about CMS licensing, etc. 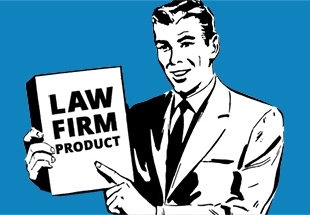 I’ve seen example after example of lawyers being held hostage by web marketing vendors. There’s simply no excuse for it. You made a lot of good points the only problem is most lawyers don’t have the time !